This is my take on a smoothie I tried while on vacation. My version is good; however, the smoothies offered at Local Juicery (in Sedona, AZ) are better. Although Mike and I ate exceptionally well on our vacation, a vibrant green smoothie still seemed to “hit the spot” once we returned home. Perhaps this is because San Diego has smoothie shops on every corner you turn. 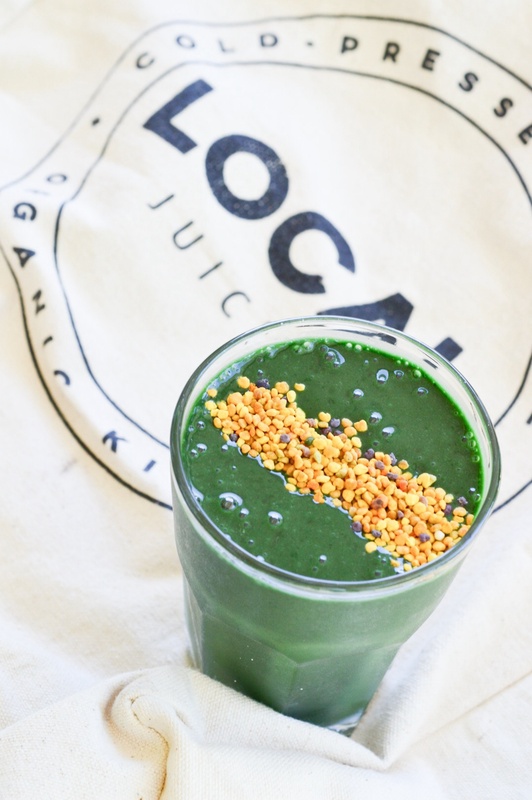 Blend all ingredients together and then top with bee pollen.